At our company, we offer both permanent cut and deep cut products. While some may say that the two are the same, there are subtle differences between the two descriptions. 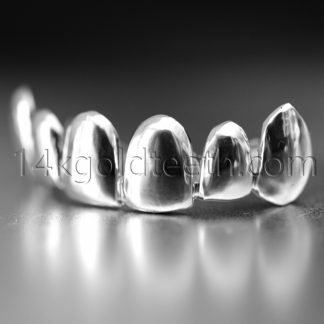 We want all of our customers to be knowledgeable before purchasing their grillz, so we want to display all of the information regarding to our cuts and designs. There are subtle differences that show between the permanent cut products from the deep cut products. The deep cut products are thicker than the regular gold teeth. This is because we use more gold to create the deep cut look. Some people prefer a deep cut than the normal cut because it provides a more realistic look than the normal cut products. The name of the cut is from the deeper cuts between the teeth that are not shown in normal cut products. The deep cut products also look permanent, for any customers who would like a permanent style look. However, permanent cuts are slightly different from the deep cuts. While the deep cut provides a more natural look than the normal cut, the permanent cut provides an even more realistic and natural look than the deep cut. The cuts in between the teeth are a deeper cut and has spaces in between. The permanent cut displays the cuts that are around the teeth shape, so there is a more natural look to the product. In addition, geography plays a major role in the permanent cut design. Many people in Florida wear the permanent cut look, and it is a highly popular design for the Floridians. For our permanent and deep cut products, we offer both for the top and bottom row of teeth. Since the nature of the permanent and deep cut style is to display a natural look, we offer these styles in different number of pieces. We offer these styles in 4pc, 6pc, and 8pc. Since we do accept custom orders, any other number of pieces, both smaller and larger, can be made with a custom order. To have a custom order created, customers should directly contact customer service for further assistance. All of our permanent and deep cut products are available in all types of metals. We offer these styles in yellow gold, white gold, silver, and rose gold. Our gold products come in a different number of karats. The smallest karat that we offer is 10k, and the largest karat that we offer is 18k. We also offer 14k for our customers who prefer something in between the 10k and 18k. Our yellow gold permanent and deep cut styles are available in 10k, 14k, and 18k. Our white gold permanent and deep cut styles are available only in 10k and 14k. Our silver products are created with 925 sterling silver. Although we do not currently offer the rose gold option on our website, we can create custom orders for customers who would like to have the rose gold metal on their product. The permanent and deep cut products on our company site is currently offered only in the solid design. 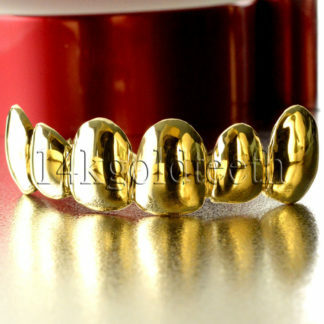 However, since we are a custom gold grillz company, we can create different designs on top of these two styles. Customers can choose from our many different designs on our website, or they can create their own designs that they have in mind. The only way to create designs on the permanent and deep cut products is through a custom order. If customers would like to create designs on these two styles, please contact our customer service and our agents will be happy to assist in creating the perfect custom design. How fast can I get my grillz? Our entire company runs online. This means that customers can place orders from their phones, computers, or tablets and have the items shipped to their house. First, once customers place their orders, either through the website or over the phone, our team will ship out the molding kits for the teeth impressions right away. Once customers receive the molding kits, they will need to accurately create an impression of their teeth with the instructions provided and send the completed impressions back to us. After we receive the impressions, our design team will begin creating the designs for the perfect gold teeth, and we will send it out as soon as our designers have perfectly designed the product. On average, our customers have received their finished grillz product within the span of two weeks. Should I get gold or silver gold teeth? When trying to decide on the color of the grillz, customers should place careful attention to several different factors. First, customers should identify whether they have sensitivities to certain types of metals (gold or silver). Second, customers should decide whether they want to match their gold teeth to the rest of the jewelry color, or have a different color as an accented piece. Lastly, customers should determine which color they absolutely love more. Our company offers several different types of gold, including yellow gold, white gold, and rose gold. We also offer silver. When deciding which type of metal to choose from, customers should apply the three factors in choosing the perfect metal for their custom order. 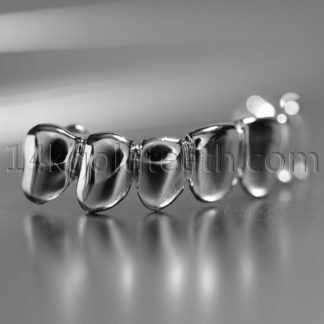 We want all of our customers to love their custom grillz.